The popular flashcard and test-prep service, Quizlet, has added a much-requested feature to their mobile app. You've long been able to review flashcards on Quizlet's mobile apps. 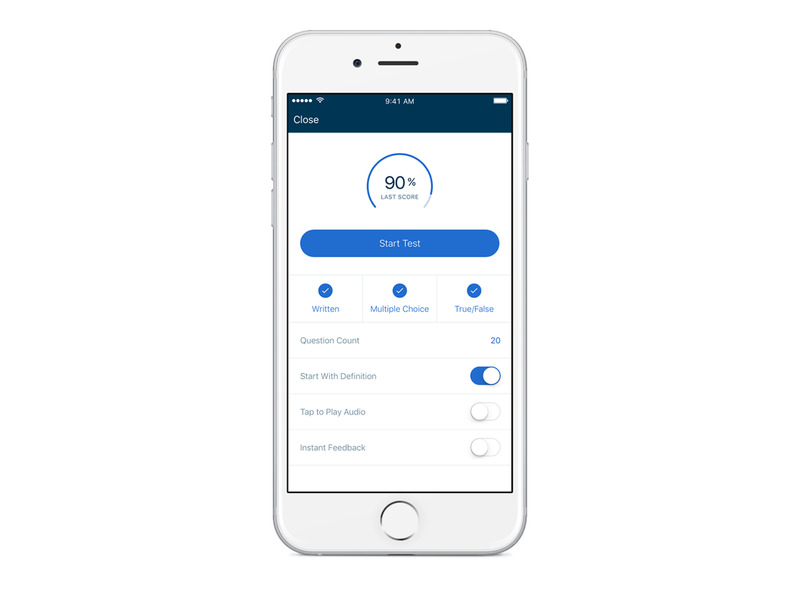 Now you can take practice tests on the Quizlet mobile app. According to Quizlet's corporate blog, the practice test mode is available now on iOS and will be available for Android by the end of the month. Through the Quizlet mobile apps students can access their flashcards used even when they don’t have an internet connection. Quizlet flashcards can include audio elements in eighteen languages. Audio support is available for Quizlet flashcards. This new practice test mode will give students a better sense of how prepared they are for a particular test.